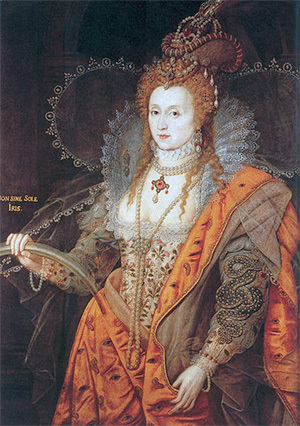 Centuries ago, having pale skin was a status symbol. Lower class workers had darker skin because they were outdoors all day, so being tan was something looked down upon. Women went to great lengths to avoid the sun! Upper class women wore hats and rarely left the house without a parasol. They also caked their faces in heavy white powder to appear more pale. In the 1930’s, movies began using color film, which propelled the tanning movement that had slowly began in the 20’s. Starlets were seen basking in the sun at Hollywood swimming pools, and “sun therapy” was being prescribed to cure common illnesses. Swim suits became skimpier and skimpier, and by the 1950’s, bikinis became the hottest fashion trend. It was a complete status turn-around. Having a tan was now a symbol of wealth and leisure! People were using silver UV reflectors to get darker tans. In the 1960’s, people all over the country were using cocoa butter and baby oil as tanning lotions. 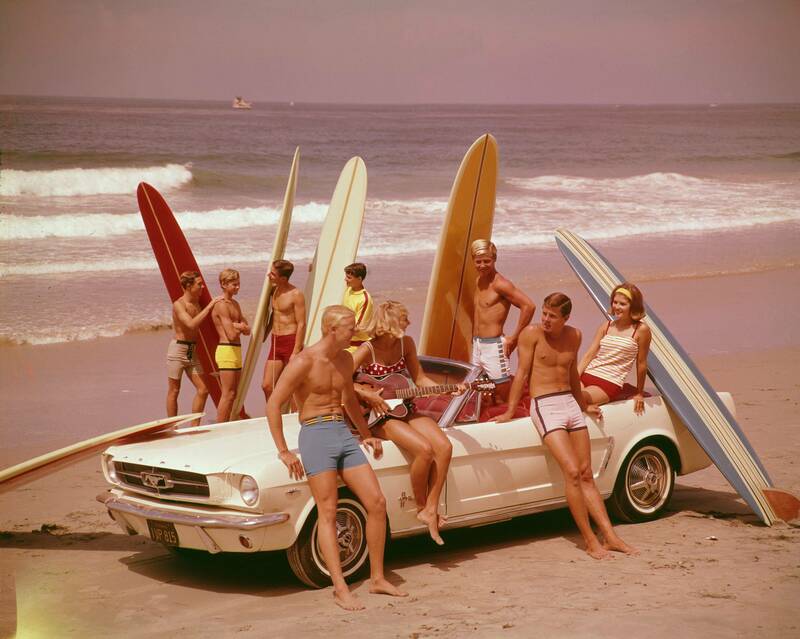 The surfing lifestyle was all the rage and tans were the coolest accessories you could have! By the 70’s, people wanted to have tans year-round. In 1975, the tanning booth was created to give you that “just got back from the beach” look all year long. Mattel introduced Malibu Barbie the same year. George Hamilton became the first tan Dracula in “Love At First Bite” shortly after! Sunscreen with SPF 15 came out and more people than ever could enjoy themselves in the sun without burning to a crisp. 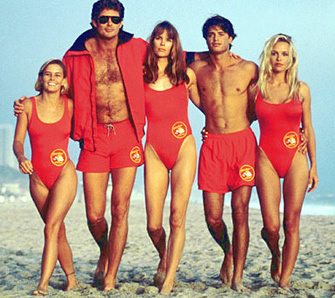 Movies like “10” and shows like “Baywatch” kept the tan craze alive and well for decades to come. Higher SPF sunscreens were invented, as well as water-proof varieties and spray-on’s. Tan enhancers such as Maxgel and Sizzle became popular with both indoor and outdoor tanners. Tanning became big business – more and more tanning salons opened, offering customers access to tanning booths. Eventually, we began studying and learning more about the effects of the sun. It was discovered that too much sun exposure causes serious cellular damage, and is a leading cause of skin cancer. People are now urged to use higher SPF sunscreen and avoid too much time in mid-day sun. Sunless tanning became a safer alternative to roasting at the beach all day or hopping into tanning beds which saturate you with potentially harmful UV rays. There are bronzers you can apply yourself at home and spray tan booths that will spray color at you! Sunless tanning has come a long way from the orange dye that they used to use. The most effective and natural looking sunless tan available today is airbrush tanning. A technician will apply a solution to your skin evenly and make sure you look naturally tan. It’s hard to tell the difference between an airbrush tan and a tan you get from being outdoors. Airbrush tanning solutions contain a compound called DHA which naturally stimulates your skin to produce color, but does not permeate your deep skin tissues the way UV rays do. An airbrush tan will last approximately 7-10 days. It’s FDA approved and currently the safest alternative to baking your body in the sun. It won’t cause wrinkles and leathery skin the way too much sun can, too! Being tan is still considered beautiful and most of the models you see in magazines and actors you catch on TV are perfectly bronzed. Tan skin hides imperfections and makes you look younger and healthier. Tanning isn’t going anywhere, but our ability to tan safely with an airbrush tan is certainly a highlight of modern life!